Last week, I had the amazing chance to return to New York for the Mercedes Benz Fashion Week. Once again, I got to see the amazingness that BCBGMaxAzria has to show us every season. 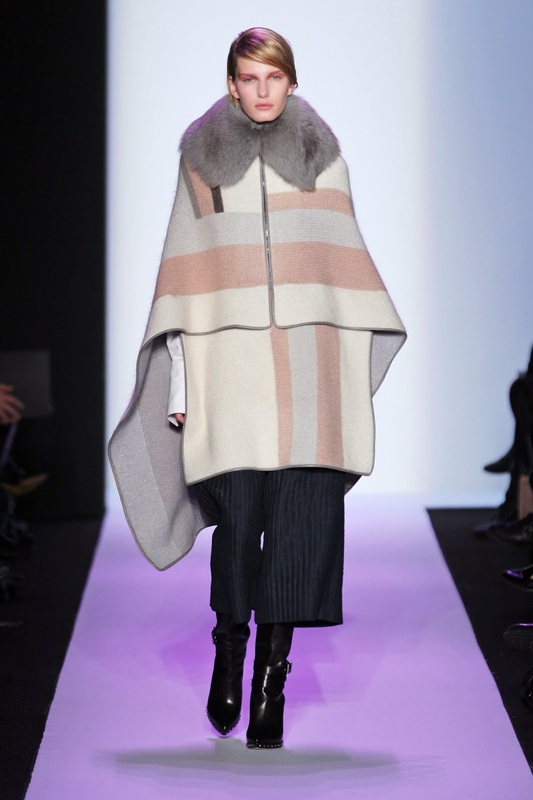 This BCBGMaxAzria Fall/Winter 2014 Collection was right up my alley, the minute the Fur came down the runway, I was sold. Fur is always a good idea !!! This poncho is everything ! Ladies, the fur muff is back, get ready for next winter ! We surely need some in Montreal. Then, I fell in love with the simplicity of these gorgeous dresses. Neutrals are all the rage these days, but I absolutely adore the way BCBGMaxAzria created a neutral palette but yet managed to incorporate a pop of turquoise with the simplicity of lines.